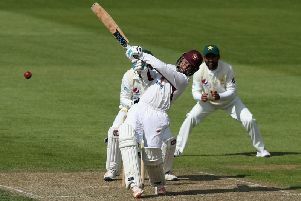 Ricardo Vasconcelos was delighted to score an unbeaten century for Northants, but warned that he and his team-mates still have work to do to stay in their Specsavers County Championship Division Two clash against Glamorgan. Vasconcelos led the way with an unbeaten 126 from 211 balls, while opening partner Rob Newton chipped in with 85 not out from 195 deliveries. And despite the fact that 804 runs have been scored for the loss of just eight wickets in two days of play, Vasconcelos insisted there is still a lot of work to be done by Northants, who still need 187 more runs to avoid the follow on. 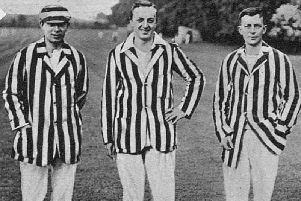 “I am very happy to get my second hundred for the side,” said Vasconcelos, whose previous first-class ton in County colours came last August against Middlesex. “Glamorgan bowled well to put pressure on us, and you had to concentrate all the time. “It is essential that we bat well on Saturday, as the pitch could crumble towards the end of the game and cause problems. Glamorgan skipper Chris Cooke says he and his team have to try and keep the pressure on the Northants batsmen. “Although it is a belter of a pitch, the odd ball is keeping low and we failed to hold on two chances that were created,” he said.